In the Senior School, Arts Week is a wonderful student-organized event. Senior school events start Tuesday, April 9 with the opening ceremonies BBQ featuring the band Coldwater Creek (closed campus lunch; students are not permitted off campus). Our two evening events are Coffee House Night on April 9 and the Visual Arts Celebration on April 11; both are open to family and friends. Other highlights include morning and lunch student performances, an art fair, and the April 12 closing ceremonies starring the improv team from Vancouver Theatre Sports. 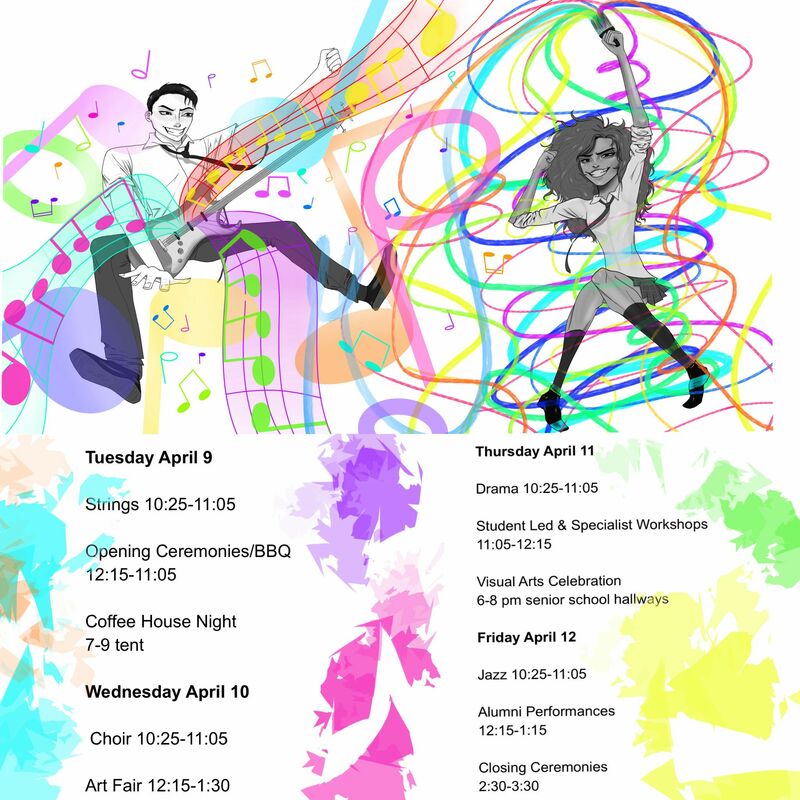 Click here for the full senior Arts Week schedule (poster created by Sophia Kemeny ‘21); please check the WolfNet calendar for specific times and locations. In the Junior School, we are busy creating and displaying vibrant student artwork in the halls. Students are looking forward to working with guest artists and musicians and enjoying art workshops in the tent on the north field, where we will hold art and movement workshops, a musical performance by Coldwater Creek, and an interactive closing performance by Axe Capoeira. 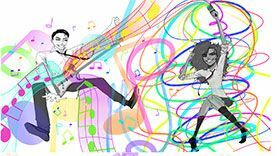 Our opening assembly on Monday, April 8 will feature our talented choir and strings musicians as well as a dance showcase by Boogaloo Academy and our own Kiera Cheung ‘24. We invite parents and friends to attend the assembly, which starts at 2pm.